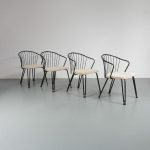 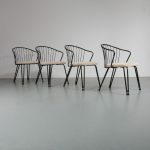 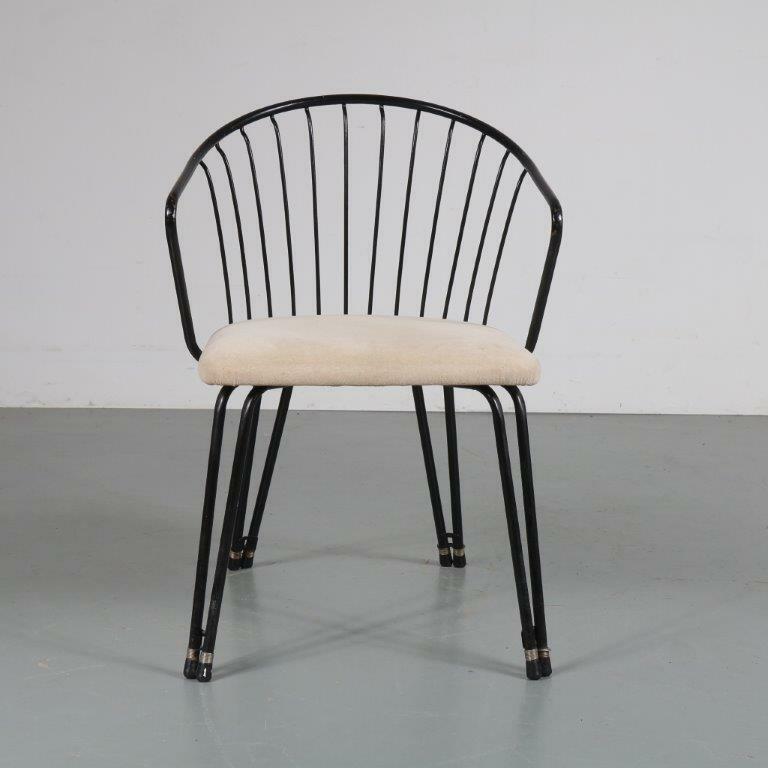 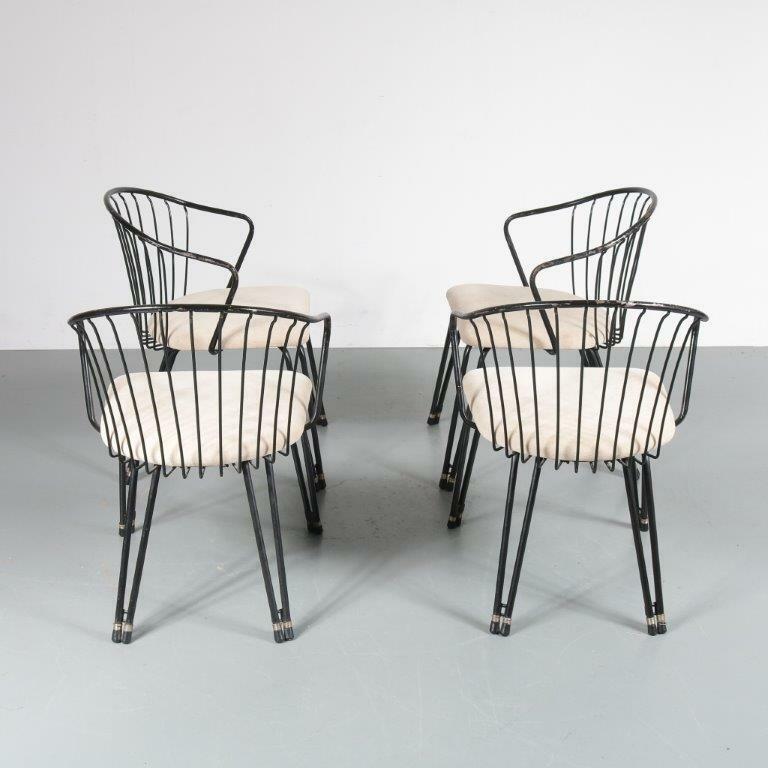 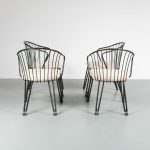 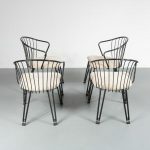 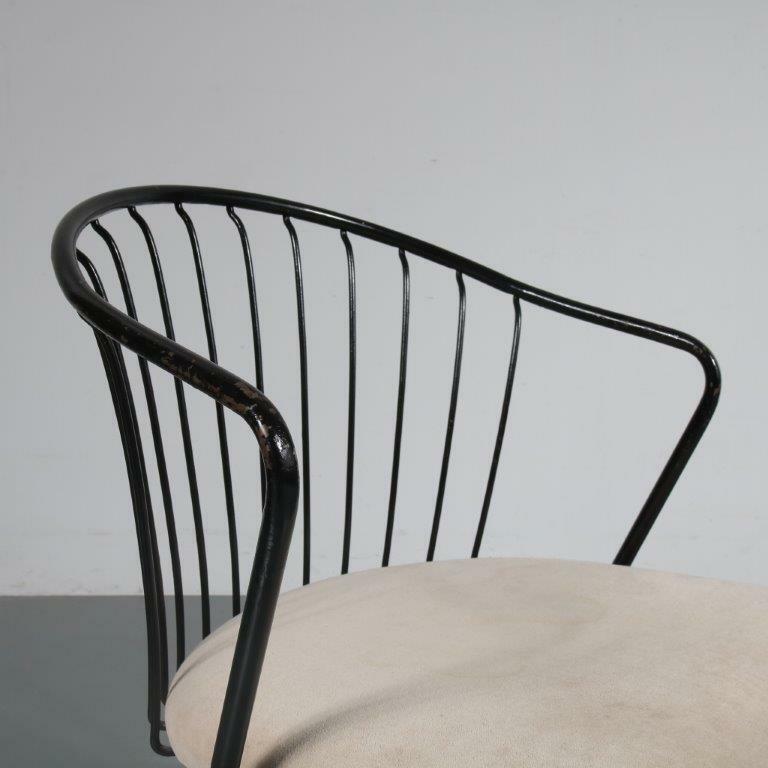 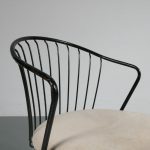 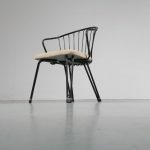 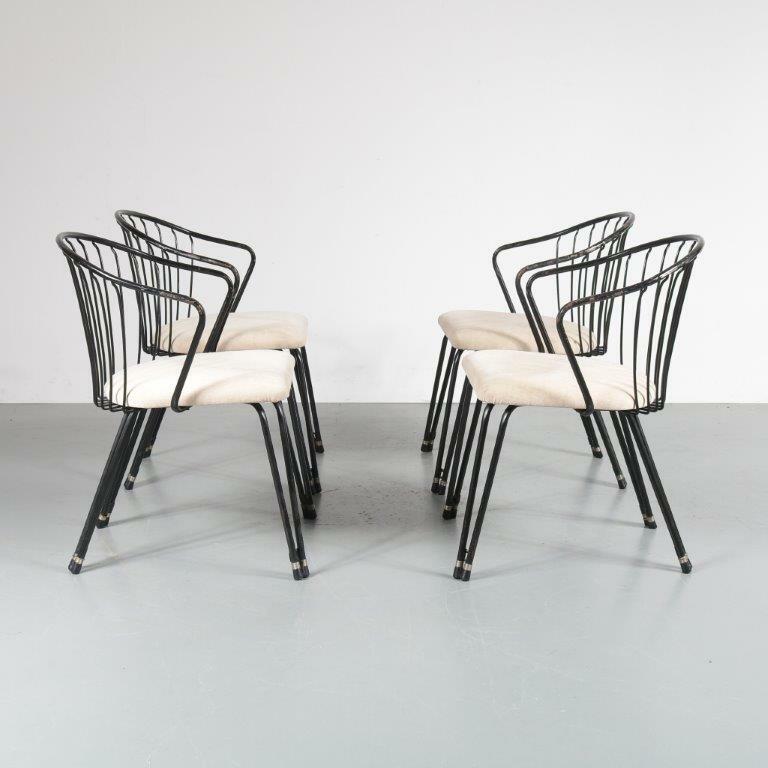 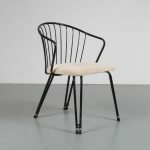 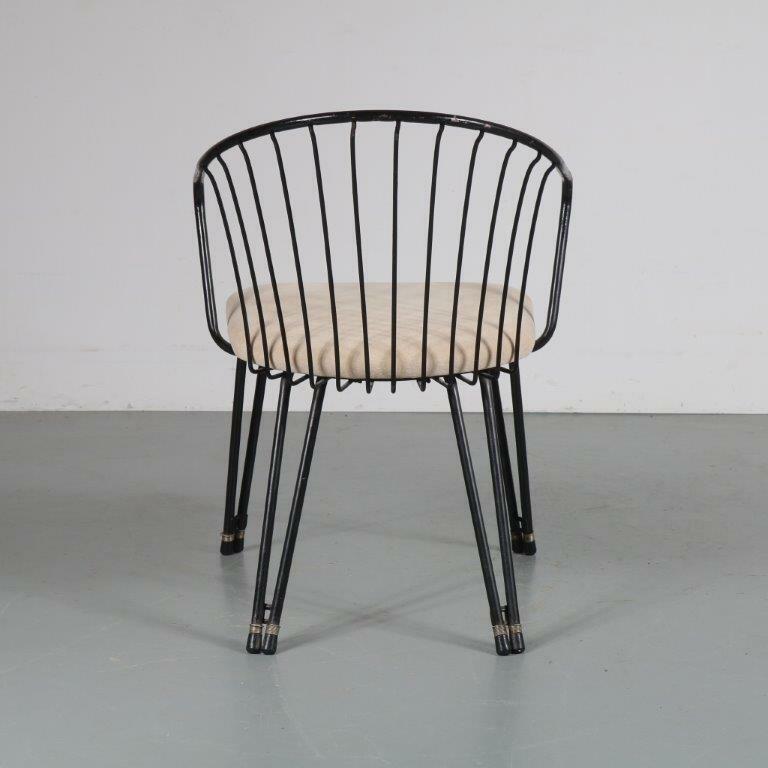 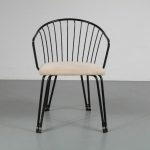 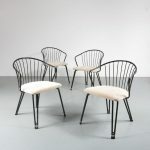 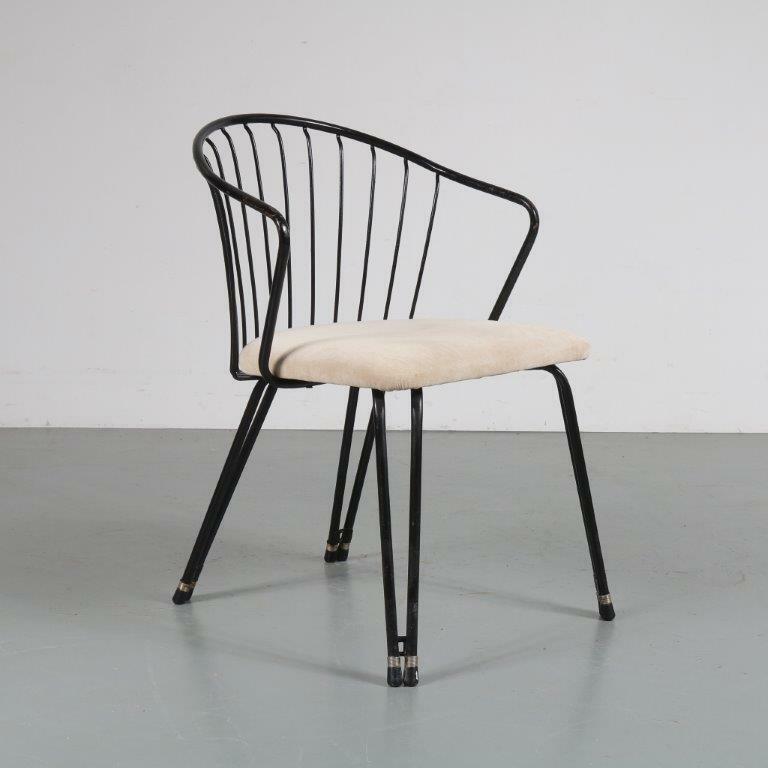 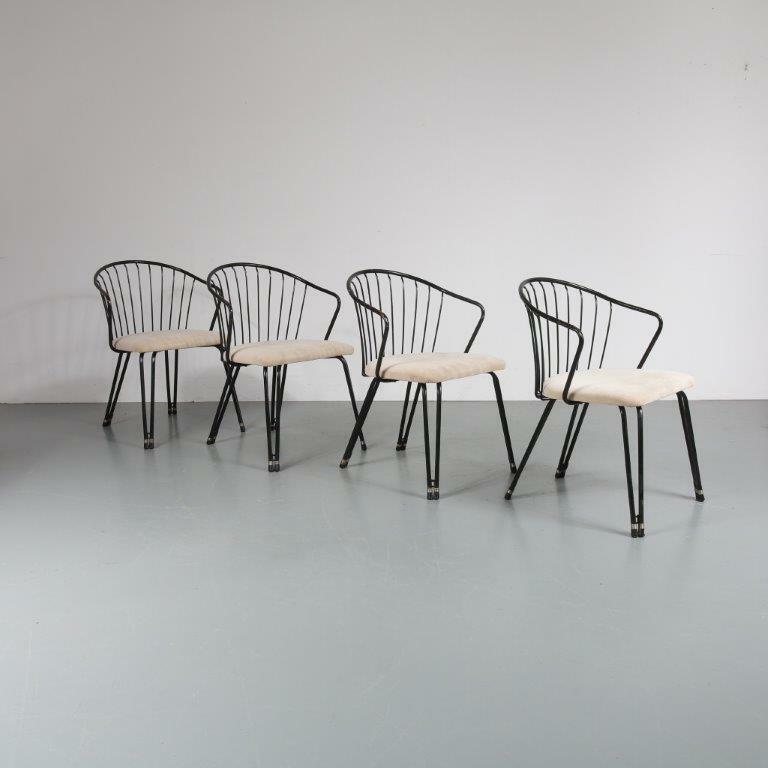 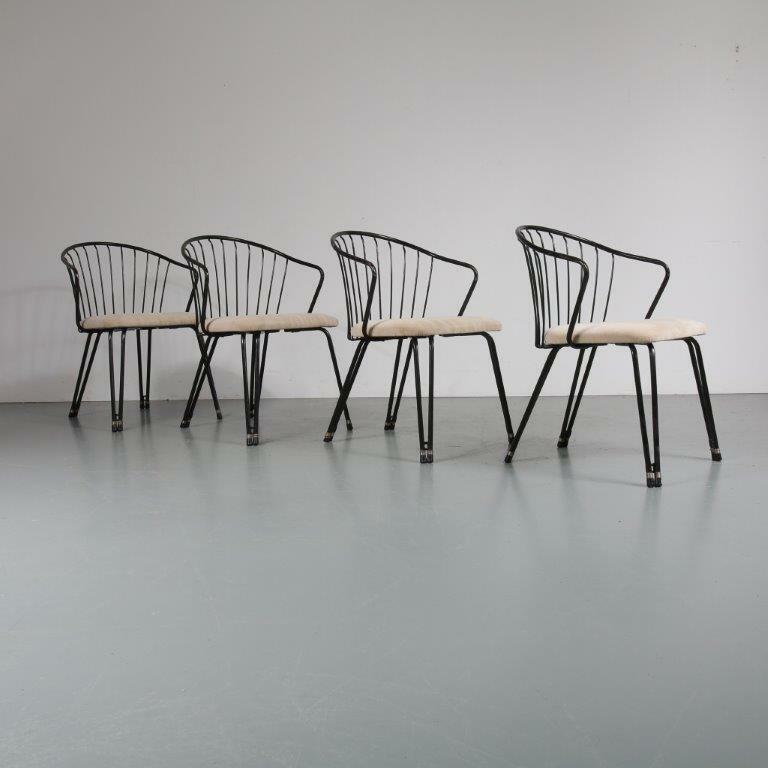 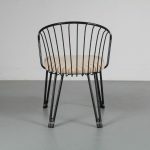 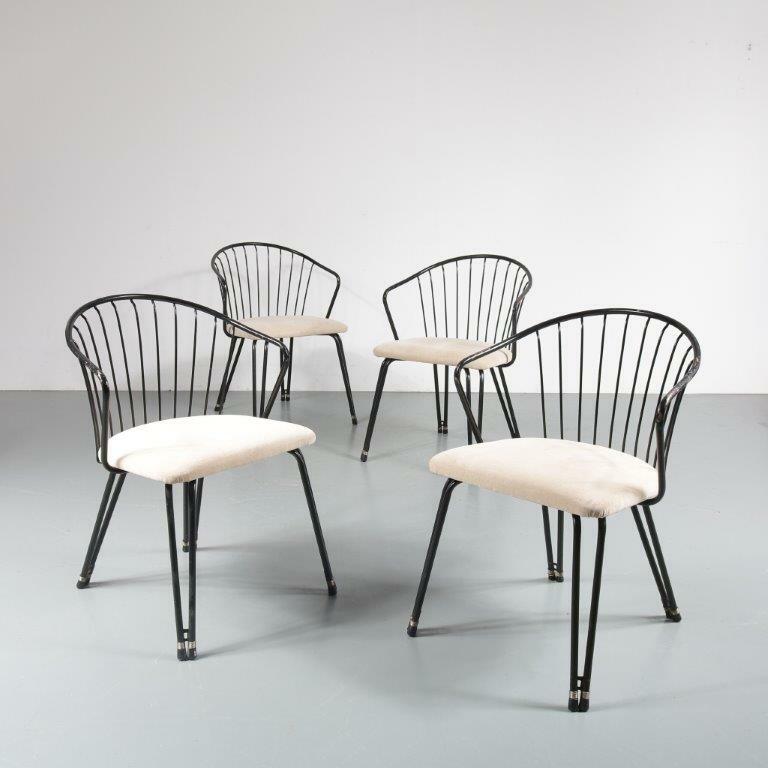 A beautiful, elegant set of four dining chairs made of high quality black wire metal. 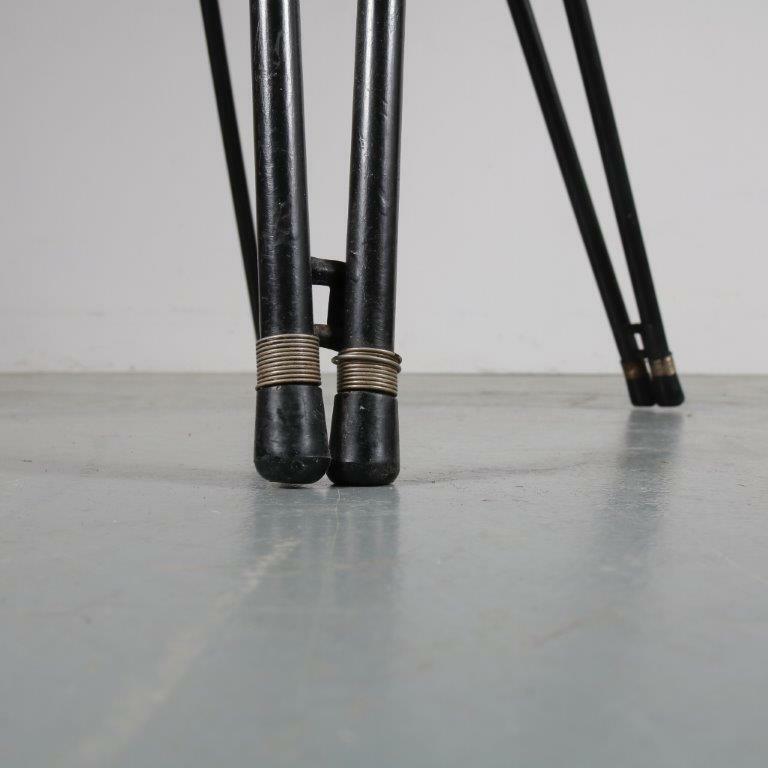 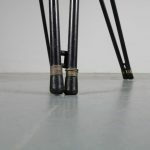 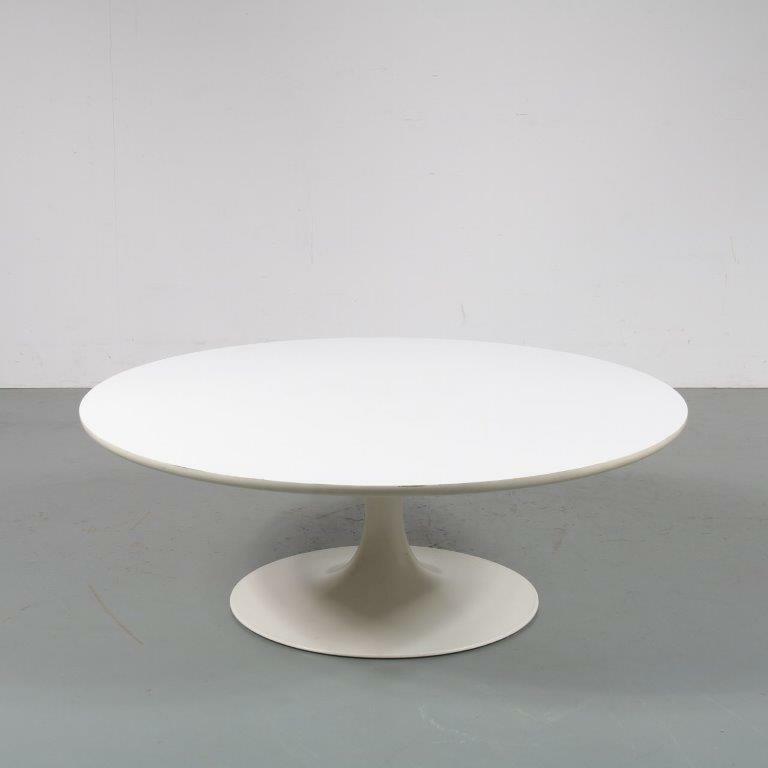 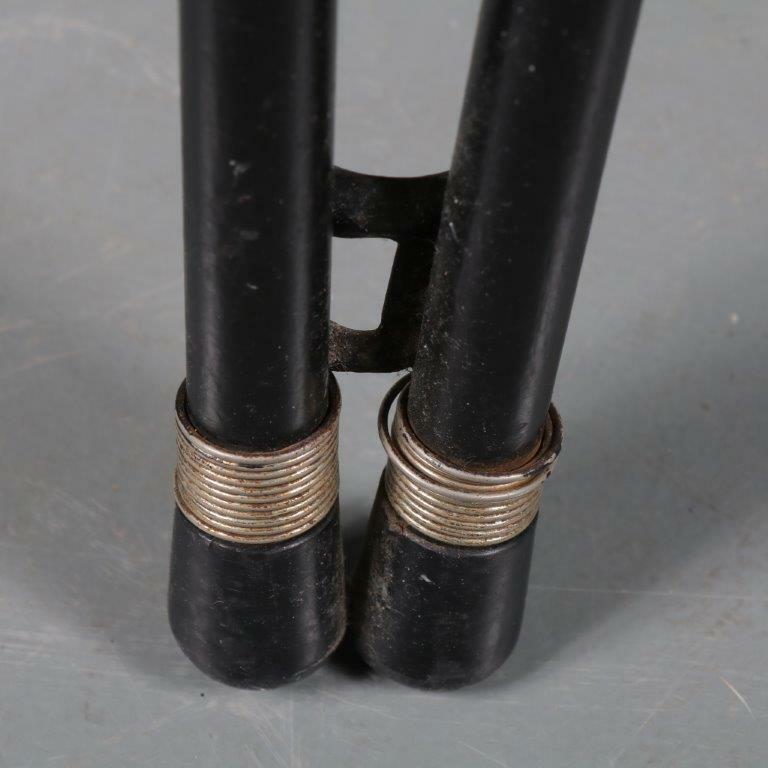 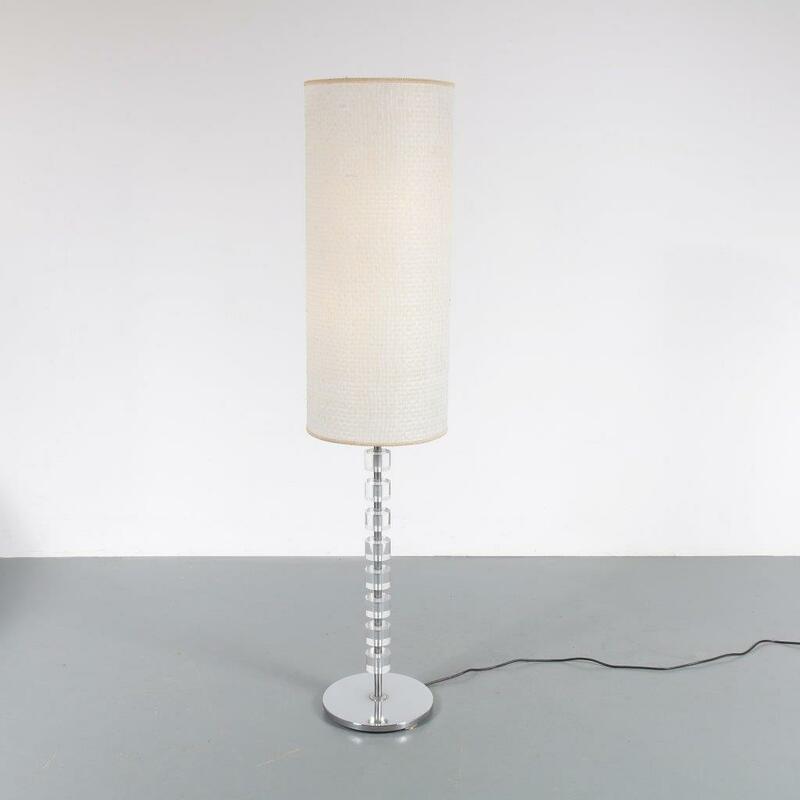 The thin metal of the base is nicely curved and the backrests have very appealing narrow spokes. 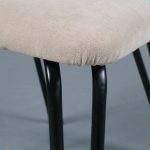 The armrests and legs are smoothly bent to create a nice, luxurious style. 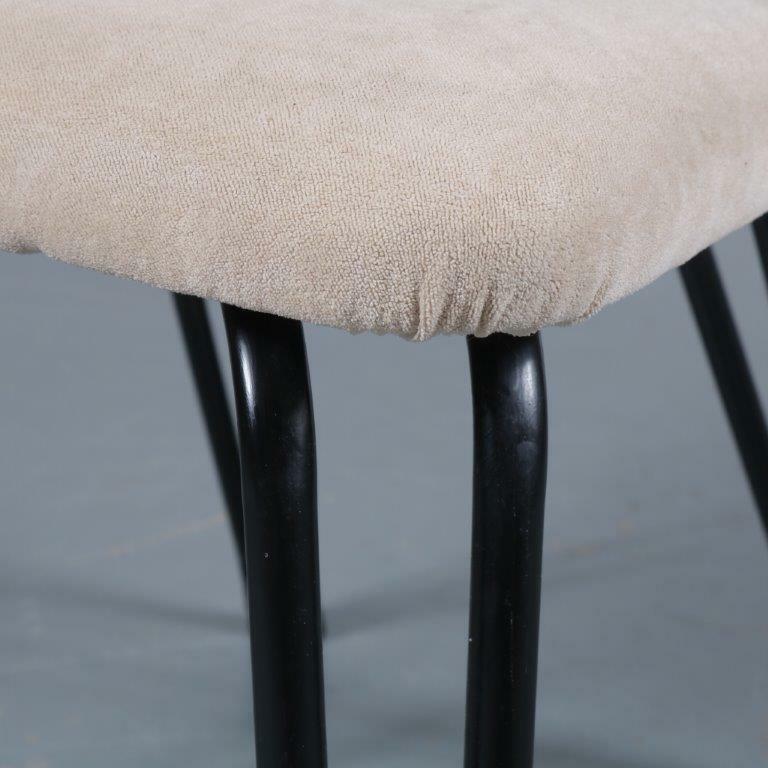 The white fabric upholstery to the seats is the perfect addition to this style and provides a nice seating comfort. 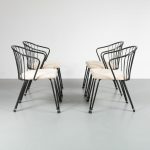 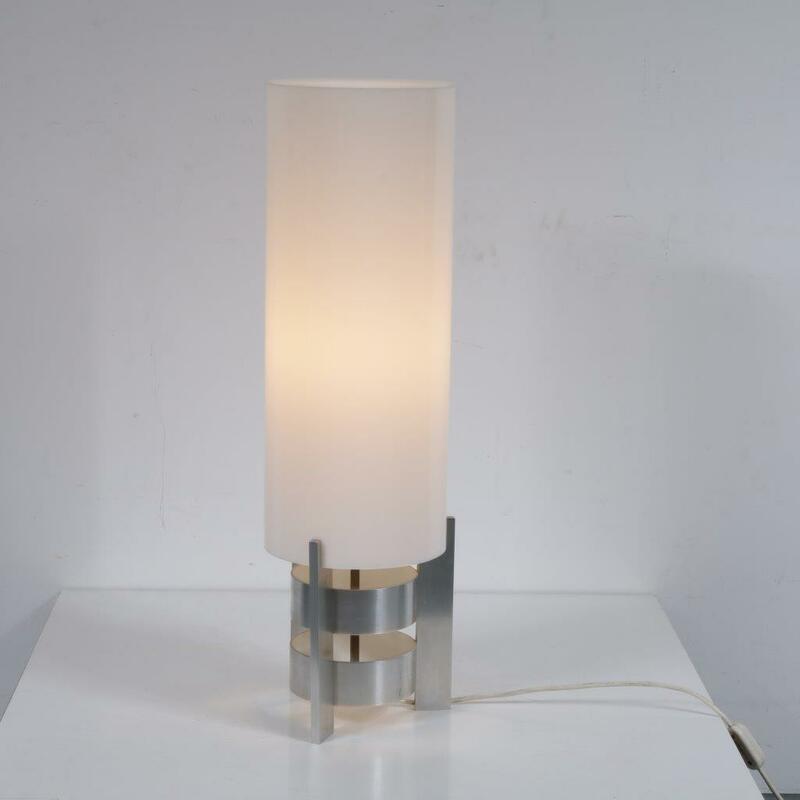 They would look amazing at any dining table! 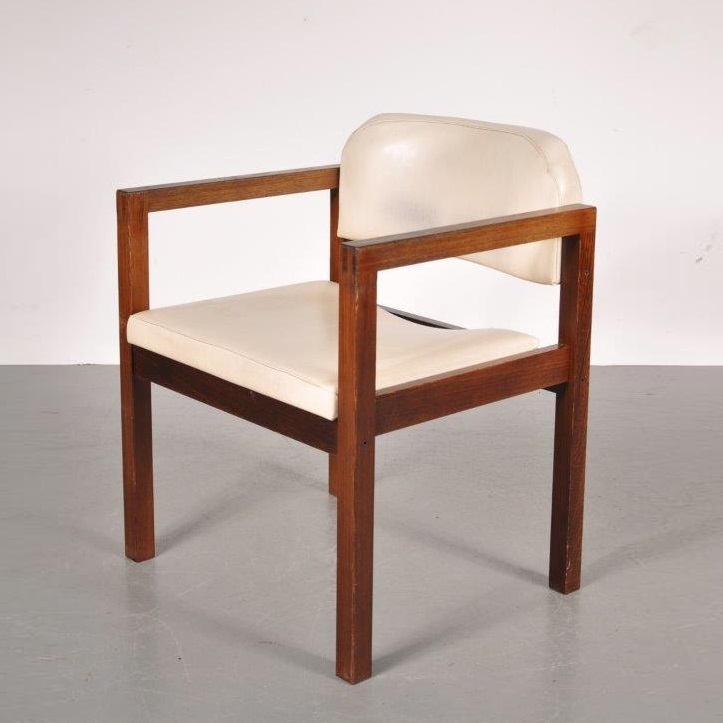 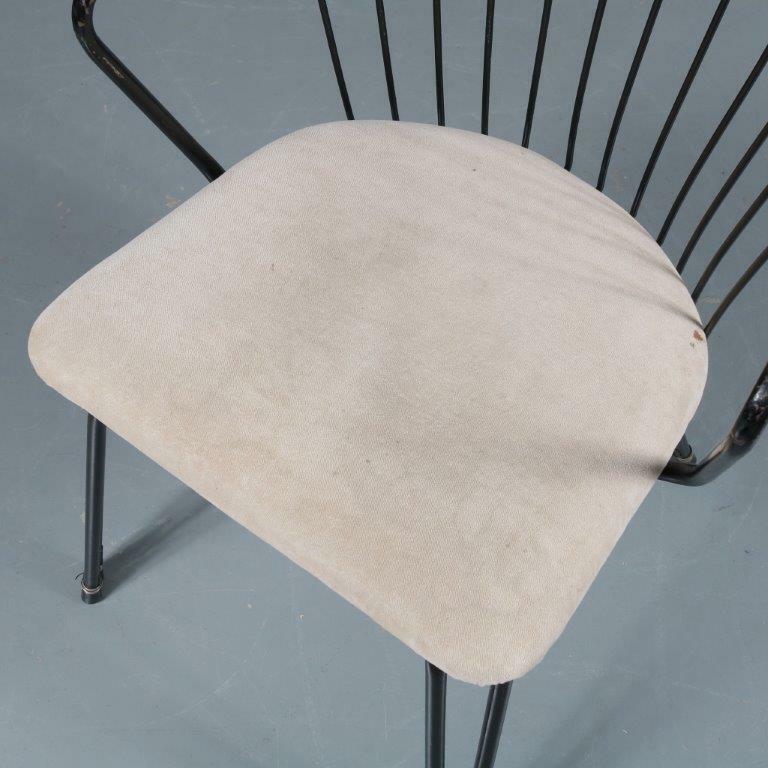 The chairs remain in good vintage condition with some wear consistent with age and use. 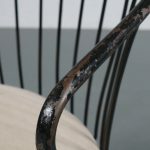 There are some paint fadings to the metal, as can be seen in the photos. 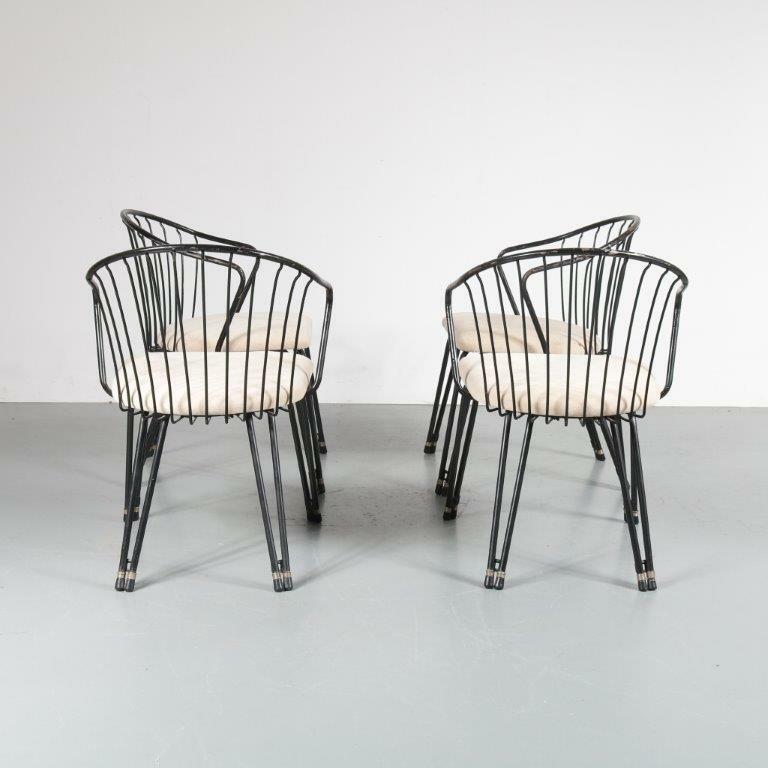 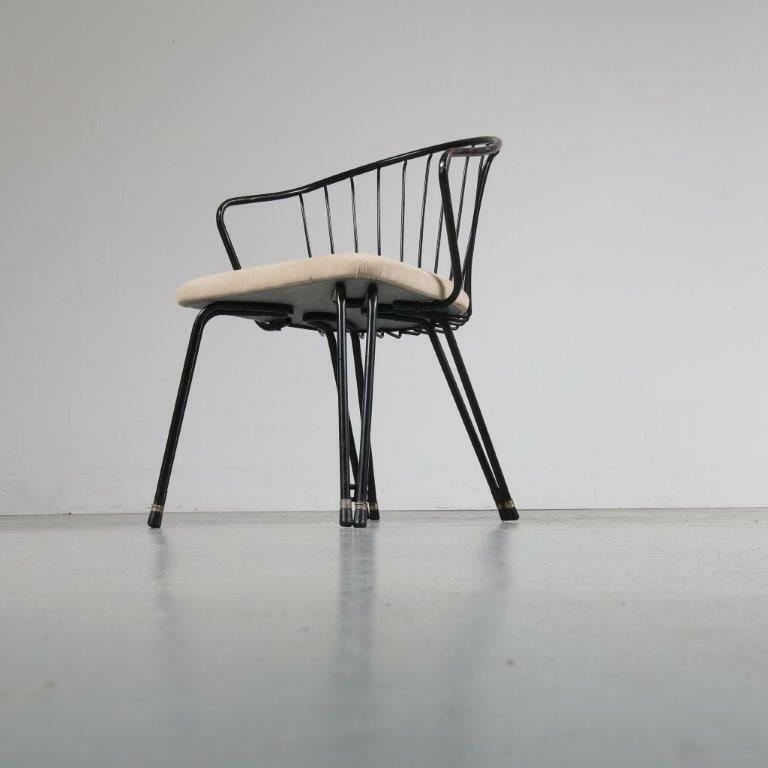 We decided not to repaint and keep the chairs in their original condition as we love the vintage patina.